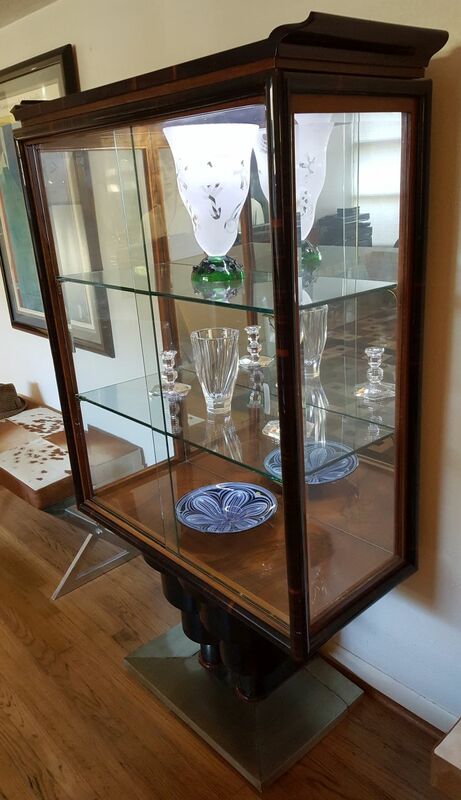 Spectacular high-style 1930's Italian Modernist display cabinet from Milan, Italy. 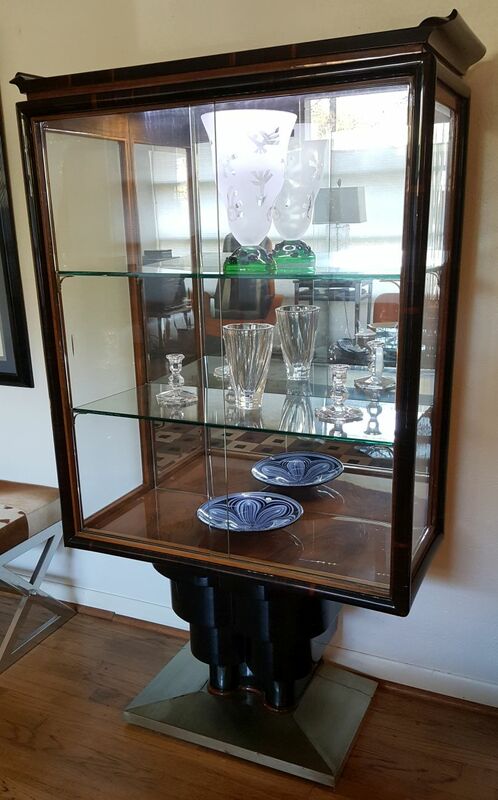 The cabinet features exotic Macassar Ebony as the main wood framing the ample display area in a lovely rounded manner. 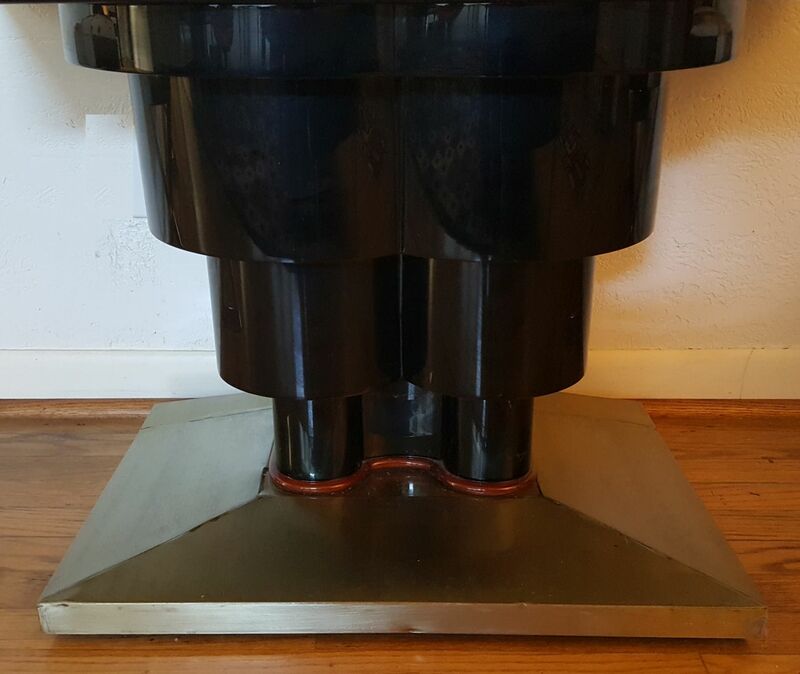 The incredible Modernist base is comprised of stair stepped double cylindrical forms in a polished black high gloss. 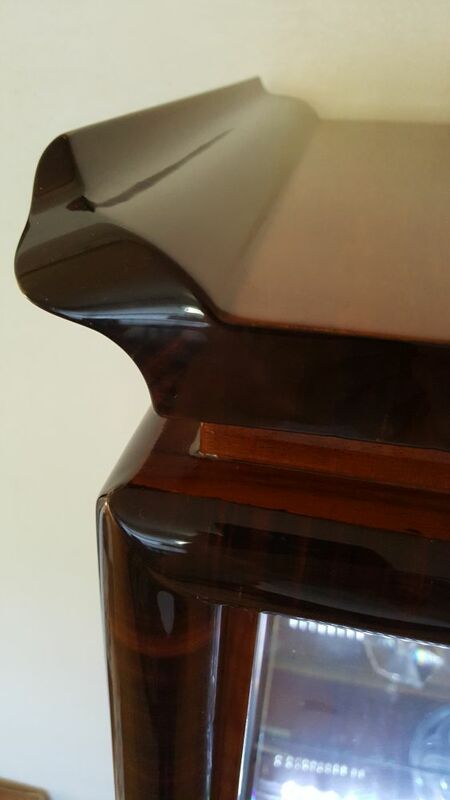 A band of exotic wood is found at the very bottom of the stair stepped base, separating the high gloss black base from its angled metal foot. 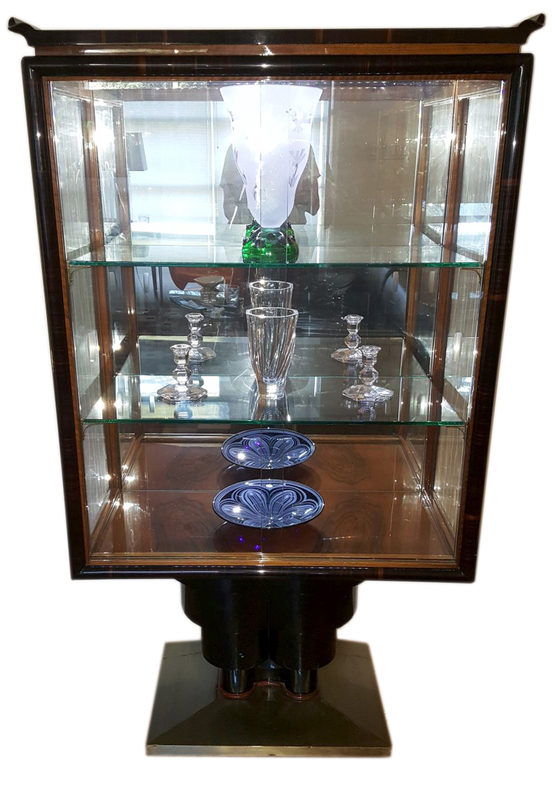 The display cabinet features gorgeous polished Burlwood as the very bottom shelf with two additional plate glass shelves. The back of the cabinet has a custom mirror back with remote controlled LED lighting to provide appropriate lighting based on time of day, mood, etc. 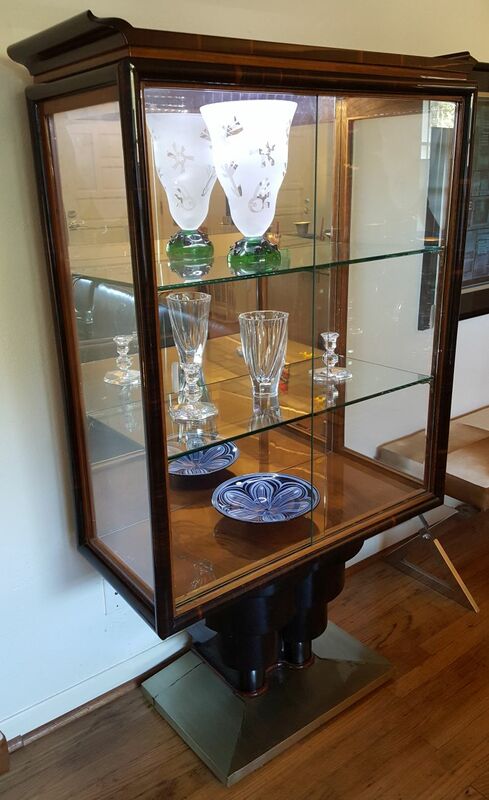 Two original plate glass doors are found on the front of the cabinet with the original bevelled glass side panels allowing viewing through the sides. 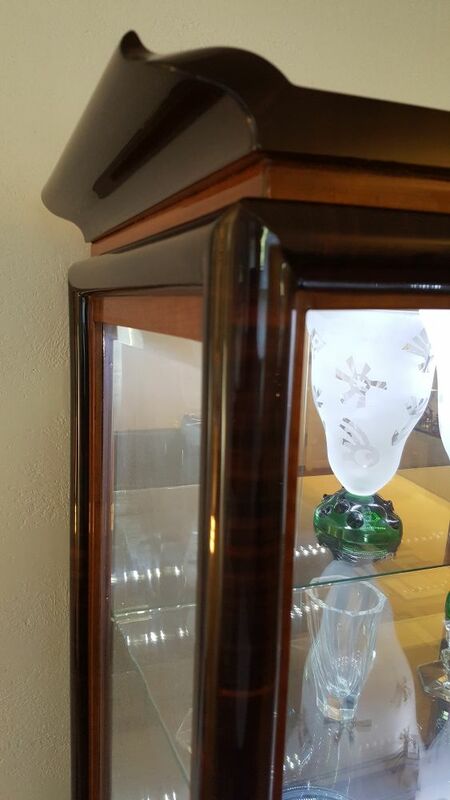 The crown of the display is the highlight of the piece, with beautifully sculpted exotic wood forming a gorgeous curvaceous flair, setting on a contrasting wood accent. 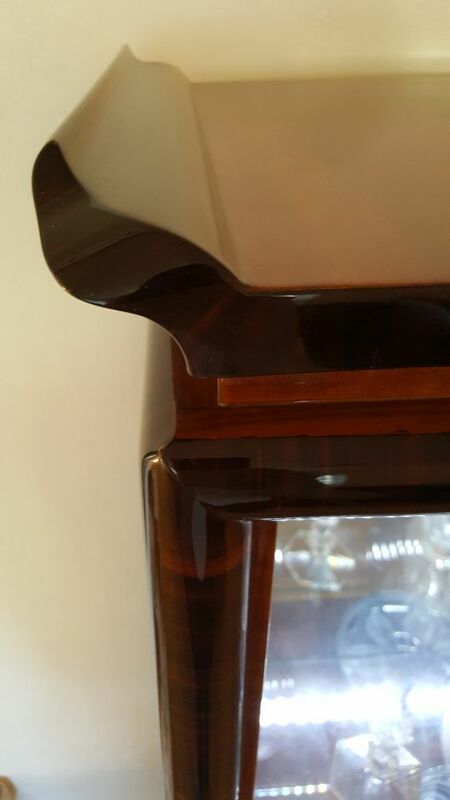 The entire piece has been carefully hand stripped, hand sanded and refinished to a gorgeous mirror-like high polish. 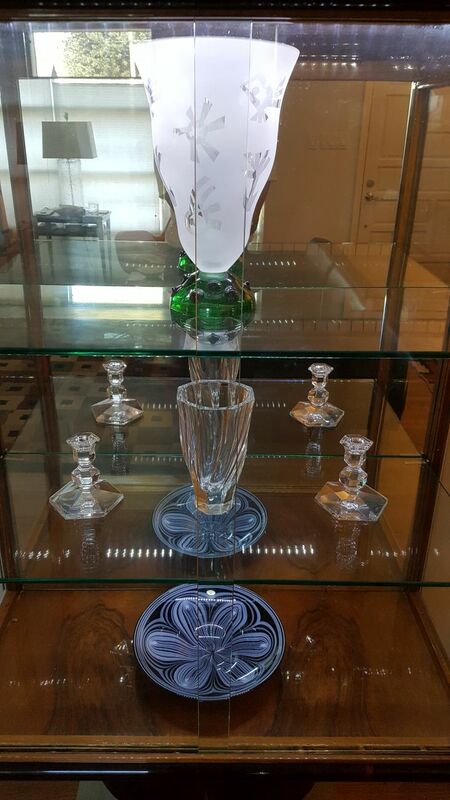 One of the finest vintage Art Deco display cabinets on the market!